Parkinson’s disease is the second most common neurodegenerative disorder after Alzheimer’s disease. Although we know what happens that causes Parkinson’s disease, Parkinson’s disease clinical research has a long way to go to figure out why it happens and what we can do to prevent it from happening. 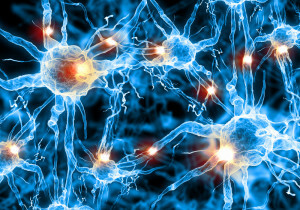 Current Parkinson’s disease clinical trials are studying Parkinson’s disease in animals, gene therapy, neuroprotective treatments, and neural transplantation. There are ongoing Parkinson’s disease clinical trials being conducted to learn more about this debilitating disease. Parkinson’s disease (PD) is a degenerative disorder of the central nervous system that over time leads to a decrease in motor skills and mental capacity. The disease is characterized by tremors mainly in the arms. In its advanced stages patients often develop dementia and have trouble performing everyday tasks. It is also called primary Parkinsonism or idiopathic Parkinson’s disease. It was first documented in 1817. Parkinson’s disease is caused by dopamine in the brain not forming and acting as it should. It is not known why this happens. There are indications that it is a genetic disease and links have been found between Parkinson’s disease and exposure to pesticides. Treating Parkinson’s disease is usually done through a combination of methods including diet, medications and exercise. Medications that may be prescribed include levodopa, dopamine agonists and MAO-B inhibitors. Physical rehabilitation and exercise can help put off the decline of motor skills and speech therapy has proven helpful. Exercise also helps maintain muscle strength, motor skills and improves constipation (another symptom of Parkinson’s disease). Since this disease progresses treating Parkinson’s disease needs to occur in stages. Medications that are effective at the beginning need to be monitored as the disease progresses. They may become ineffective or start to cause harmful side effects. David L. Kreitzman, MD, P.C.